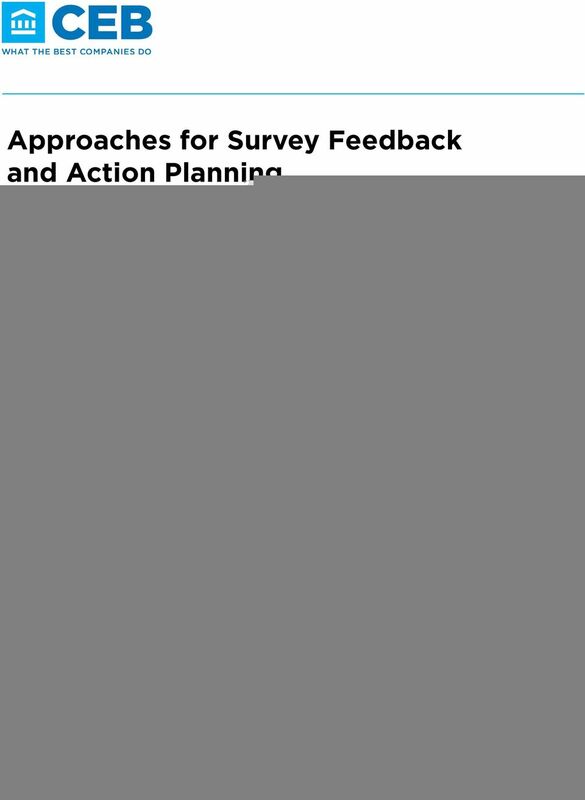 Download "Approaches for Survey Feedback and Action Planning"
1 Introduction Survey feedback and action planning are two of the most important components of an organization s survey process, but they are also the most difficult to do well. 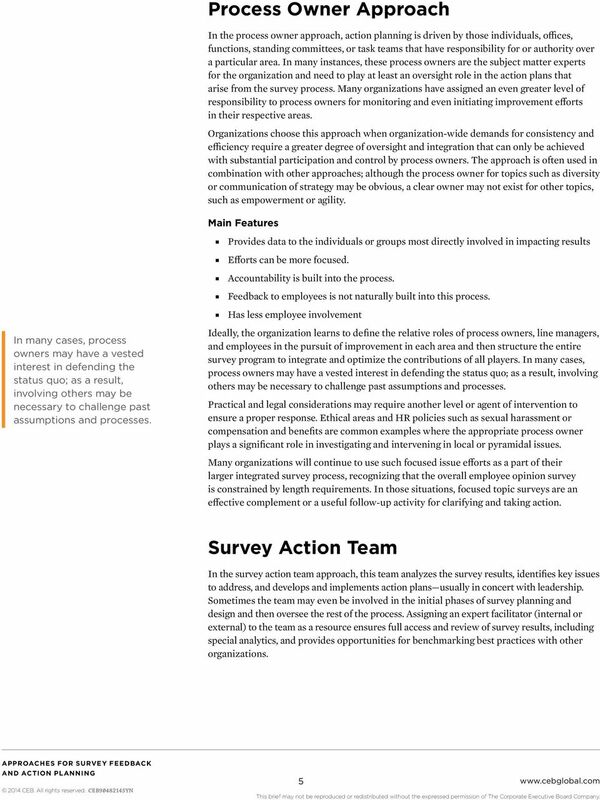 Although survey design and administration are managed by a relatively small and central team, survey feedback and action planning involve hundreds if not thousands of managers. 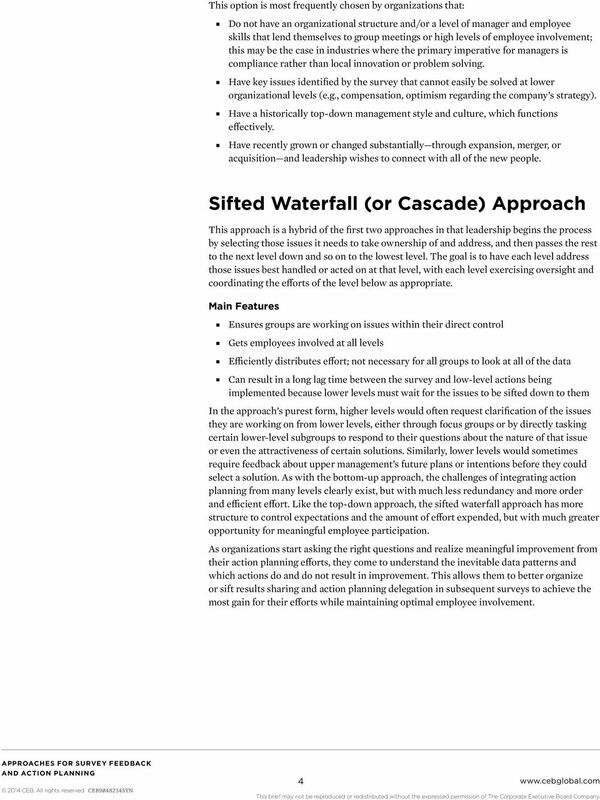 Such a distributed process can be difficult to organize, and challenges exist in holding managers accountable for their responsibilities. 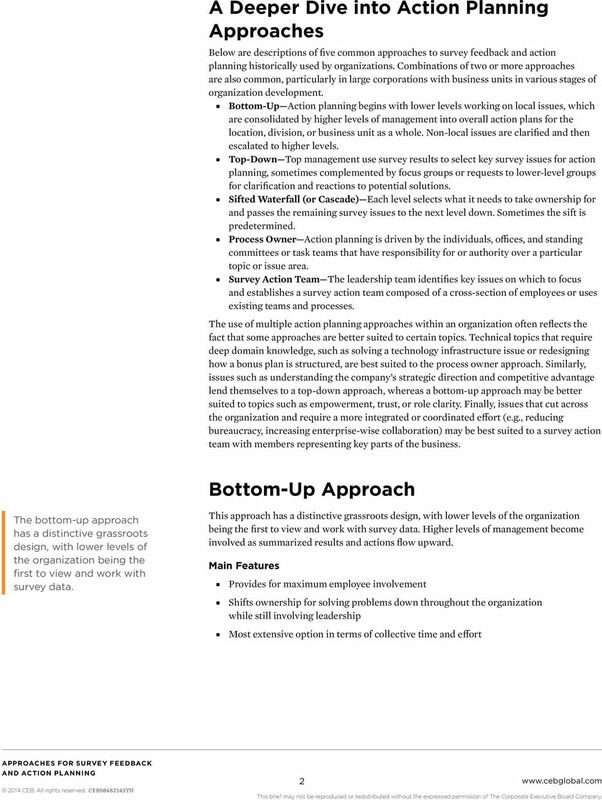 One element that can help ensure success is a well-defined survey feedback and action planning process that suits the organization s needs as well as the management team s capabilities. 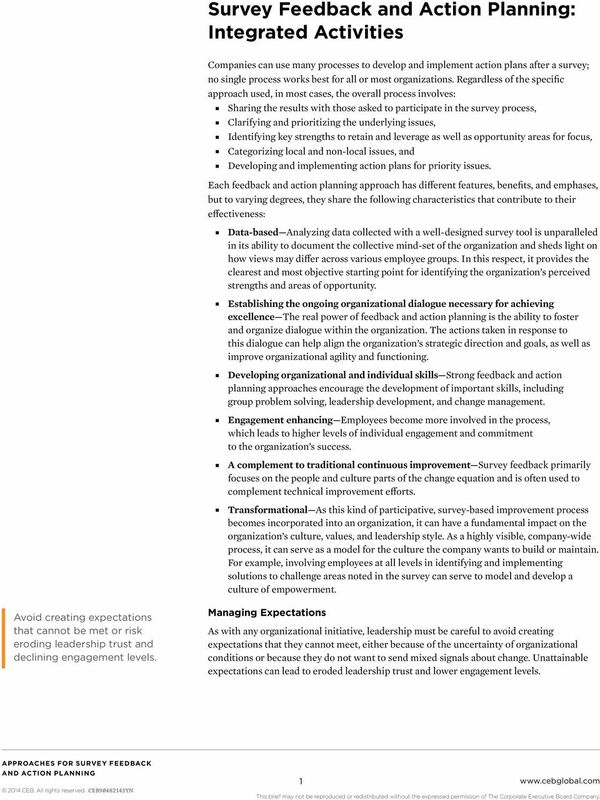 This paper describes five survey feedback and action planning approaches that have proven to be successful in organizations around the world. OPTIMUS SBR. 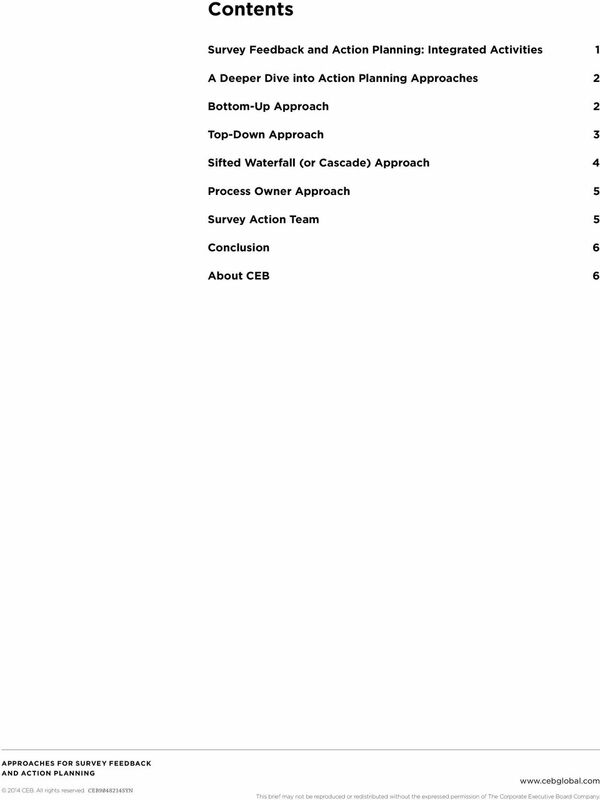 Optimizing Results with Business Intelligence Governance CHOICE TOOLS. PRECISION AIM. BOLD ATTITUDE. The New Path Forward. 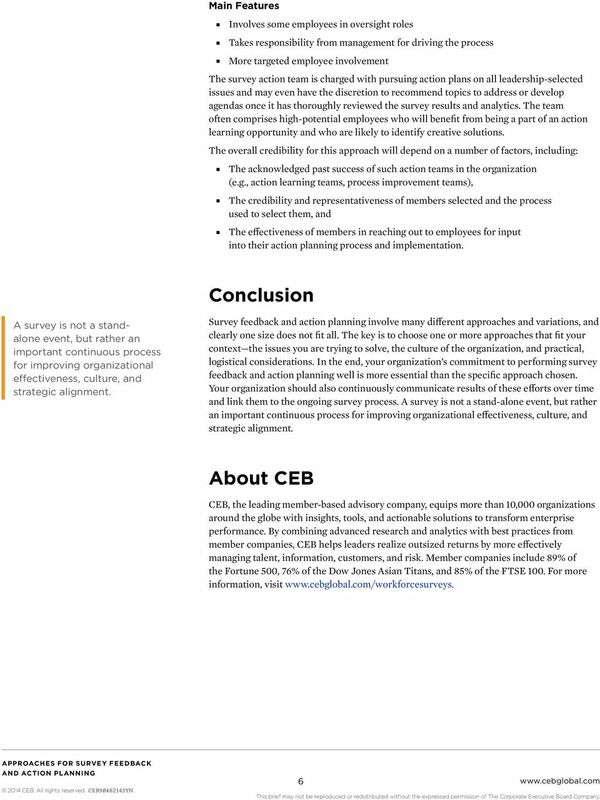 Creating Compelling Careers for Employees and Organizations. Summary of Findings. 2015 CEB. All rights reserved. IMPROVE CUSTOMER EXPERIENCE AND TRUST.